Weather conditions currently prevent the Islanders striking out on a southerly course straight for the Northumberland coast, as they had originally hoped. Instead, they are now going to massage the coast to gain max benefit from tides and lee of the land to get the best from the localised weather conditions for at least a couple of days. They think the wind will switch to northerly on Monday pm, when they will strike out into open waters again – as conditions permit. A pretty mature approach. A very upbeat chat from a skipper who knows the WR schedule – to be back at Tower Bridge in 26 days 21 hours and 14 mins – will be hard to emulate without kind permission of the weather – but they are gunning for it! Jason McKinlay and Josh Tarr are still in the grey and misty waters off Mallaig, but determined to make up some lost ground today to pass through Skye bridge after lunch. 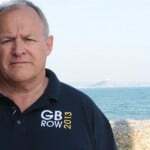 They know the rowing will get easier for a while before they hit open seas again (the fundamental difference between a pair and a fours boat – progress in open waters in marginal rowing conditions – tide, sea-swell, wind). Jason was aware of the need to push for Cape Wrath by Sunday – although he thought 40-knot winds were due over the weekend, but is reviewing the local weather situation daily, as we’ve come to accept from Jason’s very mature and considered approach. 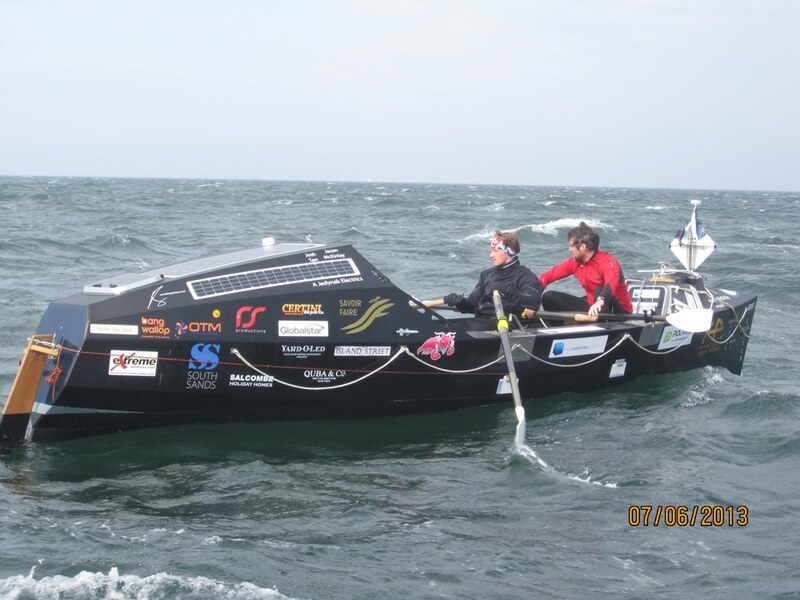 They still intend to finish the race in the 30+days – ideally within 10 days of the Islanders and at least 10 days ahead of the Army pair, who set the record in 2010 – albeit on a course that did not include a start and finish at Tower Bridge and therefore was 150 miles shorter. A good philosophy. Team Savoir Faire’s rowing pattern, times on the oars, has varied to accommodate the changing situations encountered. Rowing with the tides when entering Scottish waters only required one rower, as a second person rowing could not have enhanced their progress – they hit six knots on several occasions. However, trying to get out of the Mull required them to row hard as a pair and they often found it very difficult to even make headway. 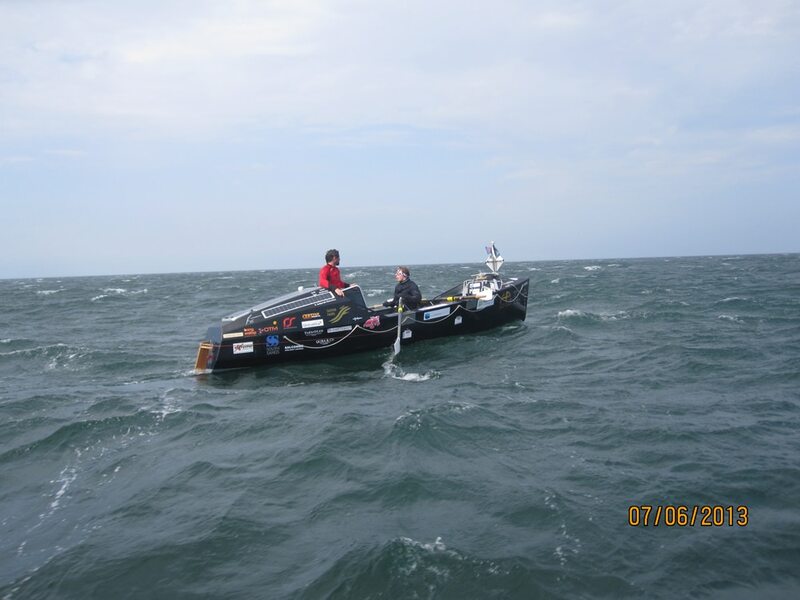 From Jason’s experience crossing the Atlantic, they planned to row for 90 minutes about – 90mins on the oars and 90 off. But this has been revised for GBRow. Over the last 10 days, they have found that rowing for two hours on and two hours off has proved the best method. They still need two on the oars sometimes to get out of difficult seas. Yesterday they both rowed for four hours without a break, then Jason stayed on for his two-hour shift as the waters eased – he was clearly absolutely knackered after rowing continuously for six hours. Upside – they had plenty of time together to talk and plan. Downside – one of them will always be exhausted after the elongated stint in the seat! Jason also talked about planning – the Atlantic required very little chart work – just point and row. He now finds himself on the charts for quite long periods, planning where to attack known difficult areas, re-assessing waypoints with reality checks, reflecting actual progress. They only predict where they want to be for the next 48 hours with any confidence. Jason has also been surprised by his body mass index shift. He said: “I know my own physiology pretty well,” and was expecting weight-loss as he progressed through week three of the challenge. 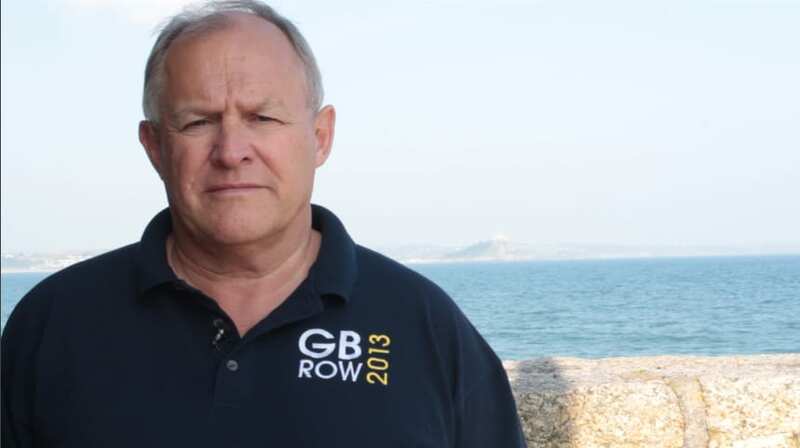 However, after some extended sessions on the oars, including one mammoth, continuous 18-hour session in the Irish Sea, his weight has been dropping since week two. At 6ft 3in tall, he would also enjoy being able to walk around more freely, and is looking forward to being able to fully stretch out when he steps ashore at the finish. It just shows, GBRow 2013 really is the toughest rowing race going!